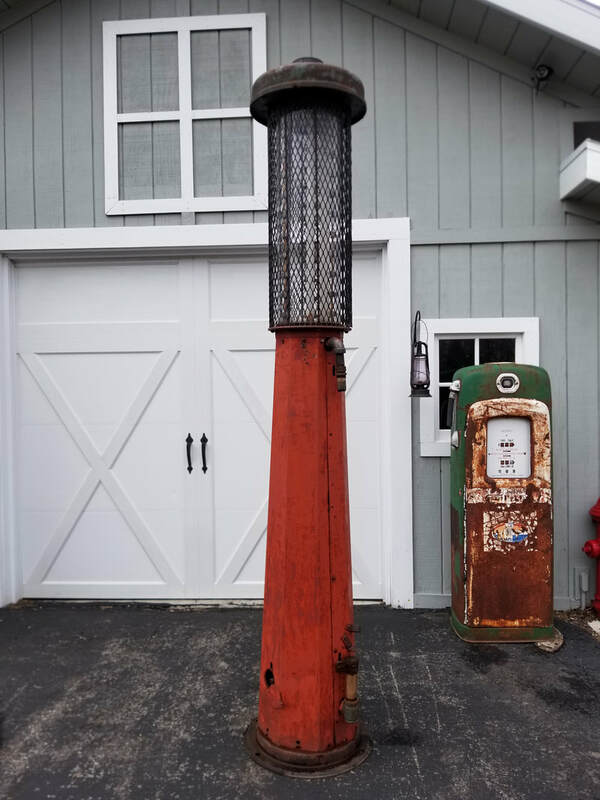 Wanted - Old Gas Pumps Etc. ​what we might find and have available for sale if we can't use it. Surface rust only, no rust out. Available on line as well as all other restoration parts. These are rare to begin with. ​Cylinder is 10" x 34 1/2" high! Missing pump handle and glass light cover above cylinder. One small rust hole on one side at the very bottom of sheet metal. It will be a very rare piece. the type of advertising that could be added to it. It is being finished in SHELL brand. Porcelain light shade is excellent. Glass is excellent on both sides. ​Restore or use as is. It is just the way it came from the barn. Includes a set of reproduction cast iron bolt covers.